"Harley Davidson and Apple Pie"
Sorry to catch some of you by surprise, but our P-day was changed to Tuesday this week. Hope you don't mind. This week was pretty interesting since we had two all day meetings on Thursday and Friday. 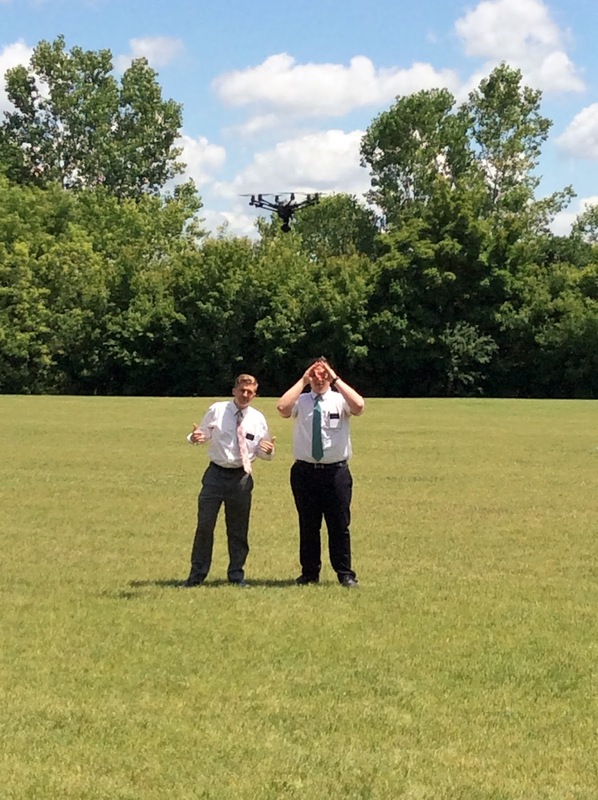 They were both very powerful and spiritually uplifting, but it took a ton of time out of our week to work in our area. The bright side is, I got to see a few people in Lakeville from my first area! It was refreshing to see some familiar faces, and also meet some new ones! 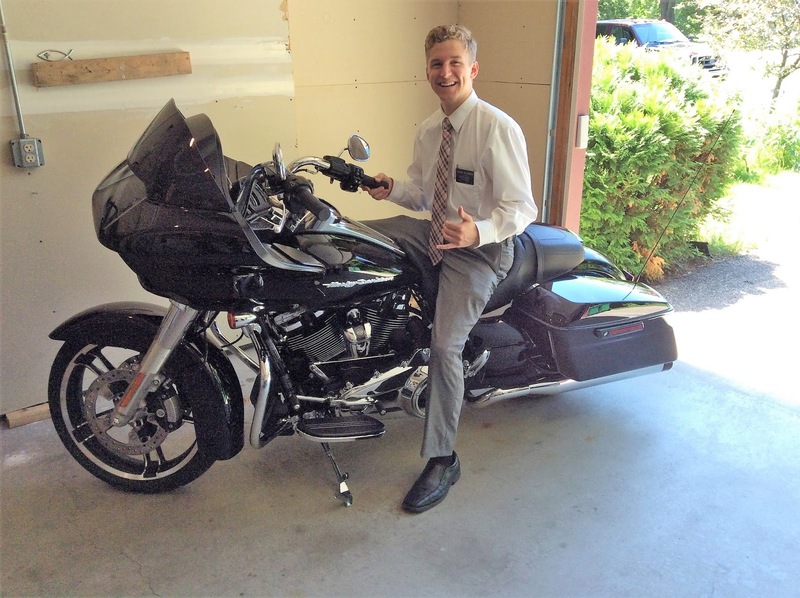 One of the recent converts in the English ward where Elder Buhler served took us all out to lunch on Friday and showed us all his sick toys - motorcycles, drones, and lasers... it was lit! Got a few vids to show as well. 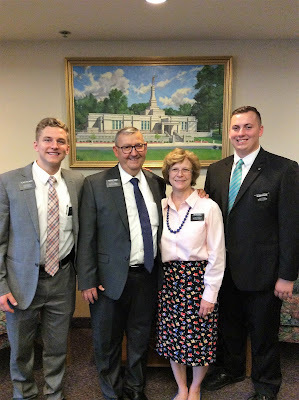 So, the reason we went up to Lakeville was for President Forbes’ last zone conference, and meeting our new mission president, President Barney! They are super awesome, and his wife is hilarious! 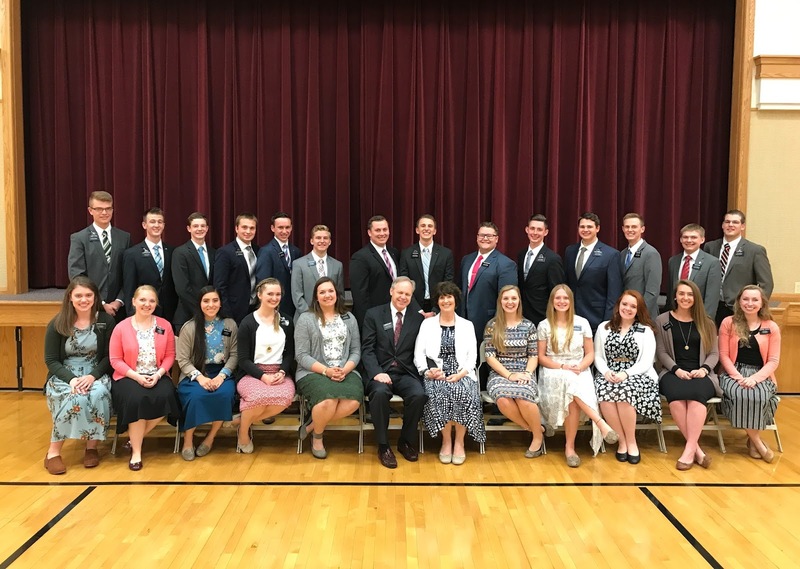 I'm super excited to have them in our mission. Both of their trainings focused a lot on love. How much they love the Savior and how much they love each of us. The spirit bore witness that they do love us, and have been called of God to preside over this area of the Lord's vineyard. Charity is something I have been trying to improve on this transfer. I admit, I do have moments where I feel frustrated that others aren't receptive or willing to change. But those sweet tender moments when I feel a genuine love for the people we interact with makes it all worth it! That's what charity is all about. Seeing others through the eyes of the Savior. We are emulating him by showing our love for others, and acting as instruments in His hands to help others feel of the love that Christ has for them! Even though the Barneys are brand new out here, I could sense the powerful love they had for all of us missionaries. So, funny story from the week. A little background first. We volunteer at a food shelf here in Mankato every Tuesday. But it's a TON better than the one in St. Peter because there are way more people to talk to, and we actually get to help each customer through the line individually. There’s a lot more one on one interaction with people. It's also a good incentive for me to use Spanish because there are lots of Latinos who pass through, and they often call on me to translate for them. Great way to help the Spanish teaching pool grow! We had a goal last week of handing out 6 'Mormon.org cards' as a companionship to people we talk to, and we smashed it! We got 11! 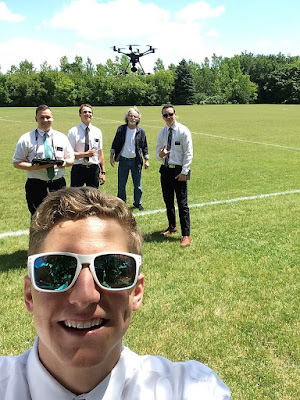 Well, one of the ladies we talked to wasn't enthralled about learning about the gospel, but since our ward is starting up soccer every Saturday we wanted to try to get more people there. So, we asked her if she knew anyone who would like to come play. And the lady says, "Oh! My dog really loves playing with soccer balls!!" We were like oh wow, that's cool haha. And the conversation switched to a different topic. We didn't think much of it, because we both thought she was just making a joke. Saturday rolls around, and we actually got a really good turn out! 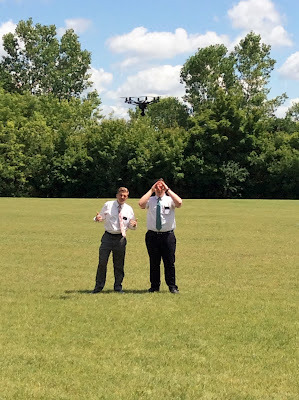 Two priests from the ward came and invited their non-member friend, and we had a group of about 6 teenage kids we contacted at the park last week. Then, sure enough, the lady shows up with her dog!! I really wish I got a video of it because it was hilarious -- the dog was actually really good! Like a real life air-bud lol. The other group of guys were kind of confused at first and started running away from the dog because they thought it would attack them. It definitely took us by surprise, but overall we all had a blast!. I have to wrap this up soon because we are having a Zone P-day today for the 4th!! Baseball, BBQ, and fireworks at a member’s house up in Lakeville! Should be great. I am eternally grateful to enjoy the freedom and blessings we have in this country! The founding fathers were inspired of God when establishing this land of liberty. The religious freedom that they fought for created the perfect environment for the restoration of the fullness of the gospel. Young Joseph Smith grew up in the midst of many different churches who were formed from this freedom we have. 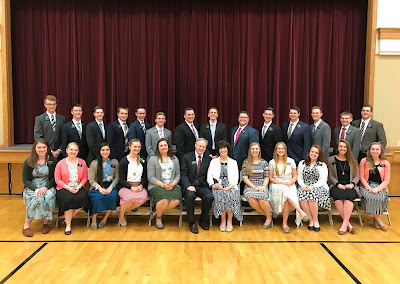 How grateful I am for the restoration of the keys of the priesthood, and the establishment of Christ's church once again on the earth, all because our ancestors were seeking a land of religious freedom!